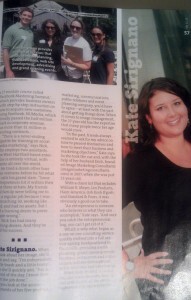 Four local entrepreneurs were recognized in the December 2011 issue of Hartford Magazine, including our very own . 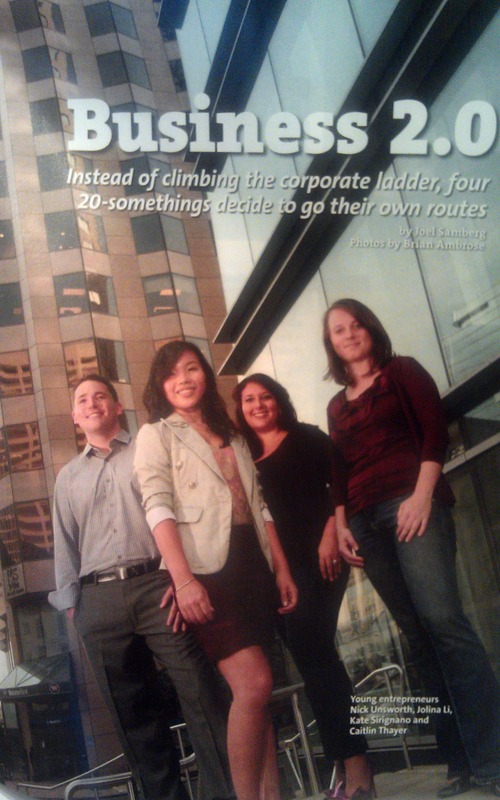 If you haven’t had an opportunity to pick up the latest issue, you can read a bit about those featured below. Nick Unsworth, the 29-year-old founder of NUMedia 2.0, was born with a hard-working entrepreneurial spirit. Unsworth had his first paper route by the age of 6, was picking tobacco at 14, and was self-employed by 19. His West Hartford based company; NuMedia 2.0 provides social media content and training to improve brand marketing for companies. NUMedia has reached the half-million landmark in revenue and has over $1million in pending contracts. Jolina Li is a 22-year-old entrepreneur with a recent degree from the University of Connecticut in Finance. Her Farmington-based company, Oh Capture This, is a digital photo booth company. The technology in Li’s photo booths allow for more than 300,000 different backgrounds that will provide partygoers with a unique picture to remember an event. While most recent graduates were looking for jobs Li was growing her own. Caitlin Thayer is the founder of Barefoot Media, a social media marketing firm located in West Hartford. After managing the social media for the Mark Twain House calls began to pour in from more and more businesses asking for Thayer’s help with their own social media. Barefoot Media clients include the United way of Central and Northeastern Connecticut, the Hartford Marathon Foundation, and the Hartford Public Library. The name of her company, Barefoot Media, comes from Thayer’s love of barefoot running. Unsworth, Sirignano, Li, and Thayer have all taken the risk of starting their own businesses at a young age. Although it is hard for most start-up companies in their first few years these entrepreneurs show that it is ability, not age, which makes for a successful company.